Not giving up and not having the horses. Both describe the New Jersey Devils in the aftermath of the trade deadline. The team traded Lee Stempniak and his club best 41-points, plus Michael Cammalleri and Patrik Elias aren’t anywhere near close to returning (if at all) to the ice and there’s only a month plus to go. It wasn’t a bad deadline day for the Devils but it did reinforce how the club is in rebuild mode. 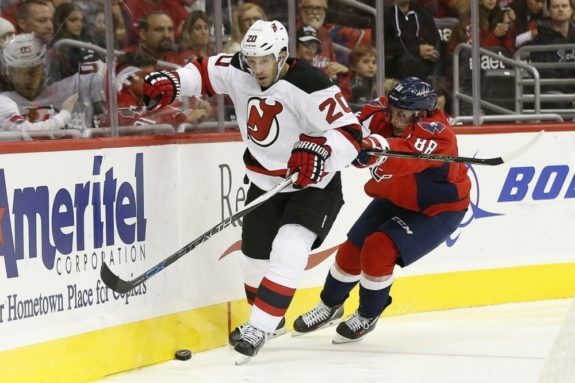 So how should one assess the moves made by Devils brass at the deadline? In their deadline day haul, New Jersey acquired three draft choices and a player (Devante Smith-Pelly) for two players (Eric Gelinas and Stefan Matteau) who’ve essentially been healthy scratches virtually all season and a player (Stempniak) who they signed as a bargain bin free agent. Plus, the club picked up defenseman David Warsofsky off waivers from the Pittsburgh Penguins. From the Boston Bruins, New Jersey gains a fourth-round pick at the 2016 NHL Draft and a second-round pick in 2017 for Stempniak. The Devils also recoup a third-round pick in 2017 from the Colorado Avalanche for Gelinas, after swapping their own pick to the Carolina Hurricanes in a 2014 deal for Tuomo Ruutu. While Gelinas did draw accolades from Larry Robinson, which included a Chris Pronger comparison, not even another Hall of Fame defenseman in Scott Stevens could help the 6-foot-4 blueliner improve his positioning and physicality. 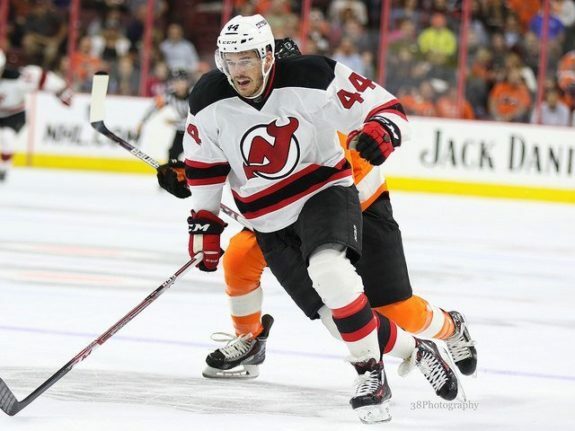 Gelinas does possess a big shot, which produced 16-goals for the AHL Albany Devils in 2011-12, so perhaps he finds his game in the Rockies. 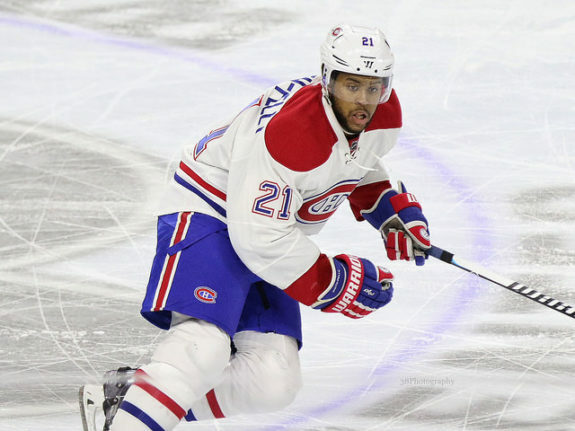 Their change of scenery deal with the Montreal Canadiens, which saw them acquire Smith-Pelly for Matteau, gives the Devils another young player, whom they hope can find his game in New Jersey. Smith-Pelly was also teammates with Kyle Palmieri on the Anaheim Ducks. One could argue Matteau’s development was rushed but at the same time, he never really found a consistent role with the Devils. In addition to his 41 points, Stempniak was a fit with the squad, wanted to be part of the solution and became a key contributor. One could argue a team bereft of scoring, would benefit from having an affordable player with Stempniak’s output. As an aside, Stempniak could come back to haunt his former club on March 29, seeing as how he’s scored eight times against some of his former employers this season. New Jersey also could’ve shipped out defenseman David Schlemko. 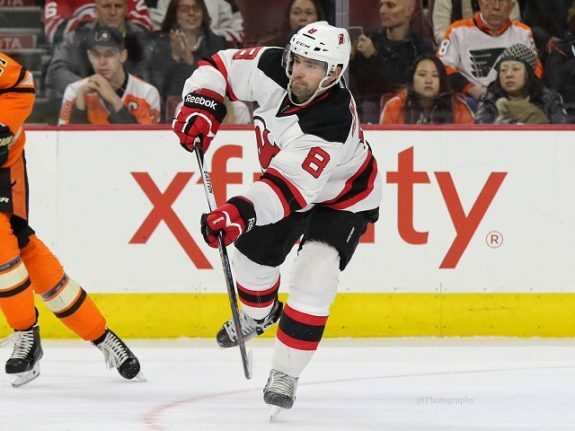 Like Stempniak, Schlemko has been a nice find for the Devils, wants to play with New Jersey and is a stable blueliner. However, one could argue that if the Devils are in sell mode and were able to get a third-round pick for the seldom used Gelinas, that they could’ve yielded a draft choice or two from a willing trade partner. In summary, one has to believe the Devils will continue playing hard under head coach John Hynes but competing for a postseason berth with a depleted lineup, coupled with dealing your points leader, doesn’t bode well for the stretch run. The Devils gave their fans five months of better hockey than most could’ve expected and now they’ve acquired assets in the way of multiple draft choices and will likely end up with a lottery pick, which will aide in their rebuild.